The 90th Le Mans 24-hour race has been a difficult, dangerous, frustrating race. cars and drivers have been tested, but in the most unpleasant ways. After 19 hours of racing, interrupted by ten safety cars, the race had rare flashes of enjoyment and a lot of suffering for drivers, crews, and fans alike. With five hours to go, the race could equally be easily predictable or totally up in the air. Odds are, the #2 Audi will win, followed by the two Toyotas. Manthey Porsche will win GTE-Pro, Oak will win P2. But the whole race has been odd. low temperatures, constantly changing weather, frequent long caution periods to break up the rhythm of the race …it has been an odd, unpredictable race. 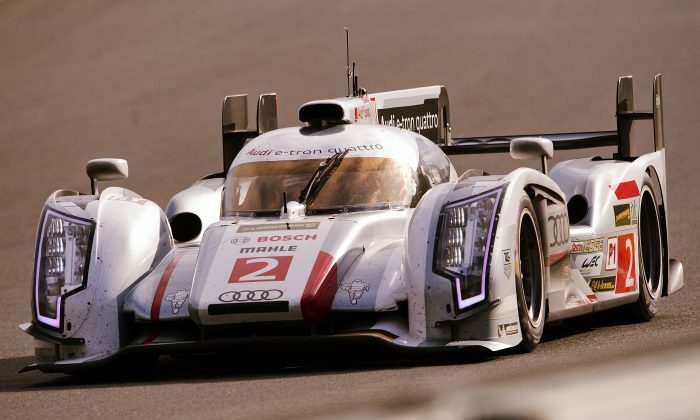 The 90th running of the Le Mans 24 has offered every unpleasant challenge that racing can provide. Tragedy started the day, bad weather damped any enthusiasm which might have survived the tragedy, and damaged guardrails made sure every wreck stopped the race. Worse still, the race will not be remembered as an epic battle against bad weather—-the weather was treacherous but not severe. The race won’t be remembered for great racing because the cautions have destroyed any strategy. The race will probably be remembered as a frustrating, dispiriting contest, where depression and tension were the opponents. This would be a shame, because they has been some very good racing, though only in short bursts; even though the race has been interrupted so often, it has still be an endurance race, a test of cars, crews, and drivers against whatever obstacles other teams or nature could present. With four hours, thirty minutes to go, the race restarted—plenty of chance for the race to develop into an event whioch could erase the first 19 hours. Hopefully in the final few hours, the race will work out so that the fans, crews, and drivers who have persevered for so many hours can take home some happy memories.